Rutgers, The State University of New Jersey (“Rutgers”) complies with the Family Educational Rights and Privacy Act (“FERPA”) and makes public announcement of the law. This announcement shall be published as an “official notice” at least twice per year and will also be archived on the Privacy section of the website for the Office of Enterprise Risk Management, Ethics and Compliance. Students with questions about this notice or about FERPA generally should contact the University Director of Privacy at FERPARU@rutgers.edu (973) 972-8093). The student may direct complaints concerning the alleged failure of Rutgers to comply with the requirements of FERPA to The Office of Enterprise Risk Management, Ethics and Compliance, University Director of Privacy at (973) 972-8093 (FERPARU@rutgers.edu), or to the U.S. Department of Education, c/o Family Policy Compliance Office, U. S. Department of Education, 400 Maryland Ave., SW, Washington, DC, 20202-4605. Students wishing to exercise their rights to inspect and review their education records should submit a written request to the appropriate official at the Rutgers office which is custodian of the records they wish to review. The Rutgers official will make arrangement for access and notify the student of the time and place where the records may be inspected. Students who do not know which Rutgers office is the custodian of the records they wish to inspect should contact their Dean of Students or University Director of Privacy at (973) 972-8093 (FERPARU@rutgers.edu). Students requesting amendment of education records should first review the policies and procedures of their college or school and/or consult with their Dean of Students, or equivalent official. With regard to education records maintained at a Rutgers office other than one within the student’s college or school, the student should write the Rutgers official responsible for the record, identify the part of the record the student wants changed and specify why the student believes the record is inaccurate or misleading. If the record custodian denies the request to amend the record, the student will be notified of the decision and advised of his/her right to a formal hearing. A student will obtain additional information on the hearing procedure from the University Director of Privacy after an amendment request has been denied. There are a number of exceptions to the general rule prohibiting disclosure of personally identifiable information from education records without prior consent of the student. More information concerning these exceptions is available from the Registrar or the website of the Office of Enterprise Risk Management, Ethics and Compliance under Privacy. Some common exceptions used by Rutgers are set forth below; however there are other exceptions where education records are released without prior consent not listed here. Rutgers will, upon request, disclose education records to officials of another institution of higher education at which a student seeks to enroll without obtaining the student’s prior consent. 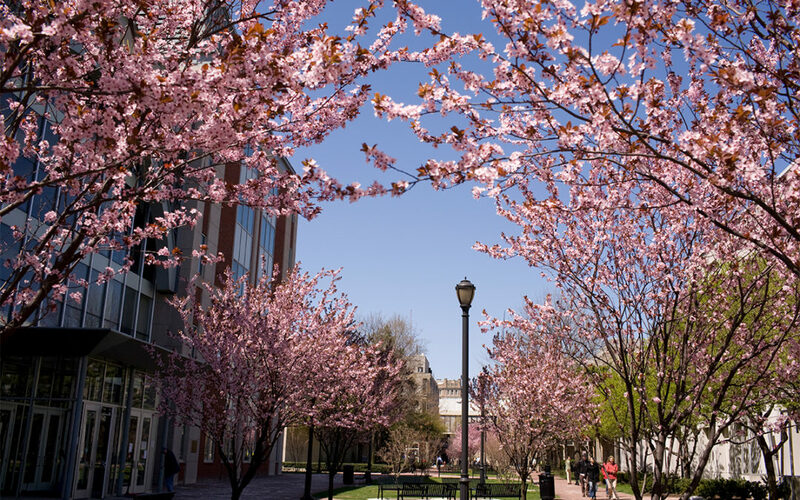 Rutgers will also send to other higher education institutions corrected or additional records if education records have previously been sent to that institution under this exception.